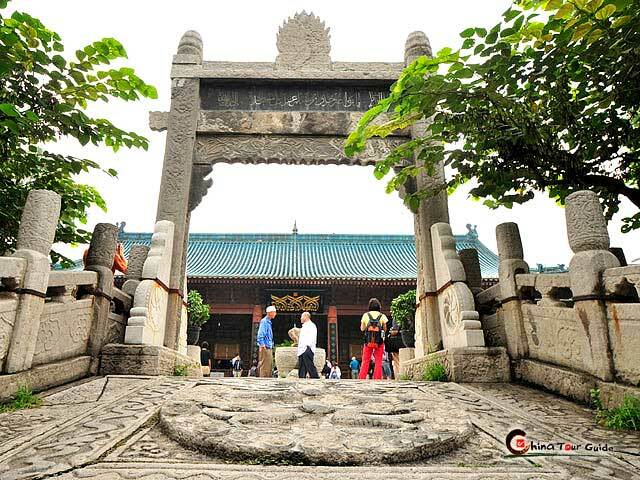 Situated on Liangshan Hill, 6km north of Qianxian County and about 85km from Xian, the Qianling Mausoleum is a Tang Dynasty (618-907) tomb site. 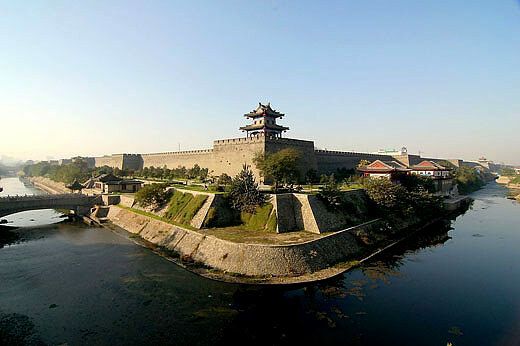 It is the co-tomb of Emperor Tang Gaozong and Empress Wu Zetian, the first and only governing empress in Chinese history. 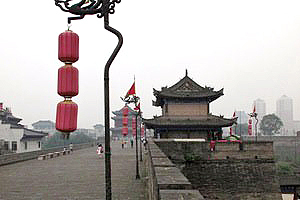 A holy way flanked by animal and human statues leading all the way to the Qianling Mausoleum from the southern approach. 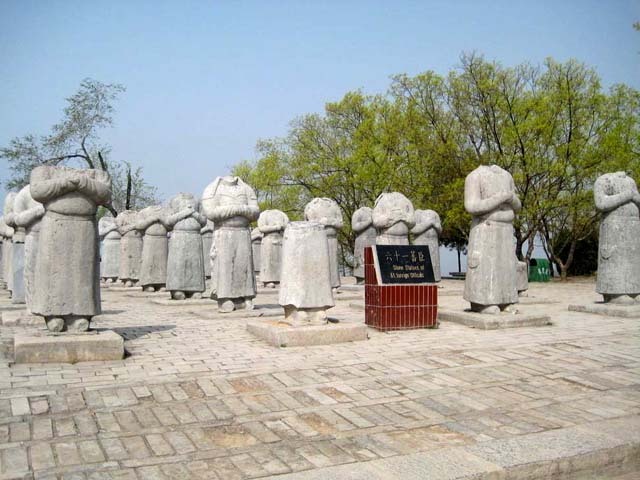 Apart from the stoned horses, ostriches, winged horses, lions, What is most worth mentioning is the ten pairs of guardian generals wearing long-sleeved robes and holding the hits of long swords. 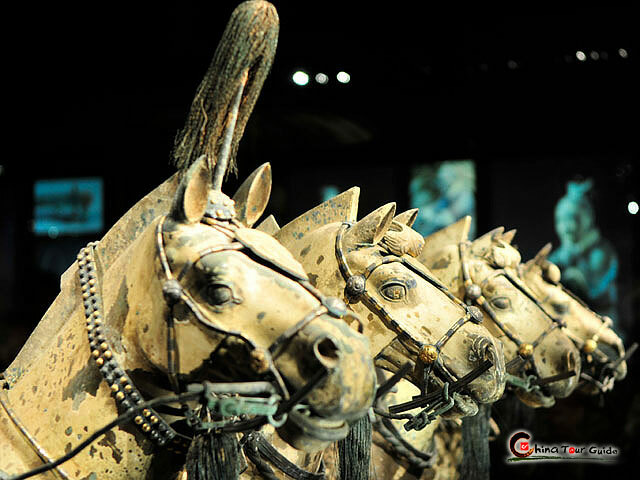 They represent noted results of the sculptural arts during the heyday of the Tang Dynasty. 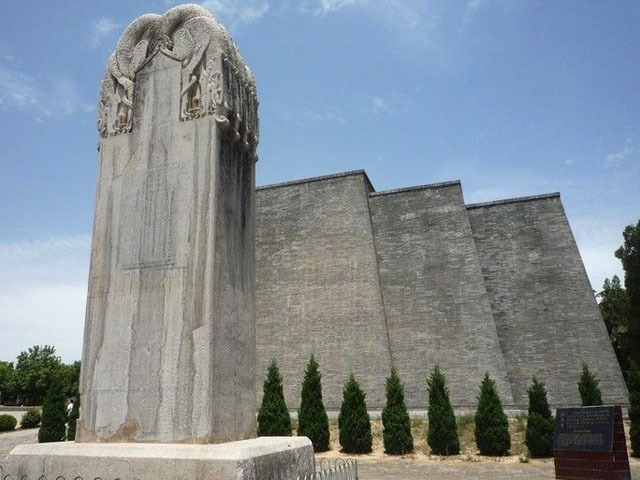 The Blank Tablet on the eastern side of the Phoenix Gate is 6.3 meters high, and weights 98.9 tons, which is the only Blank Tablet put before an Emperor's mausoleum in China. As to why the Blank Tablet standing there, people still hold different views.